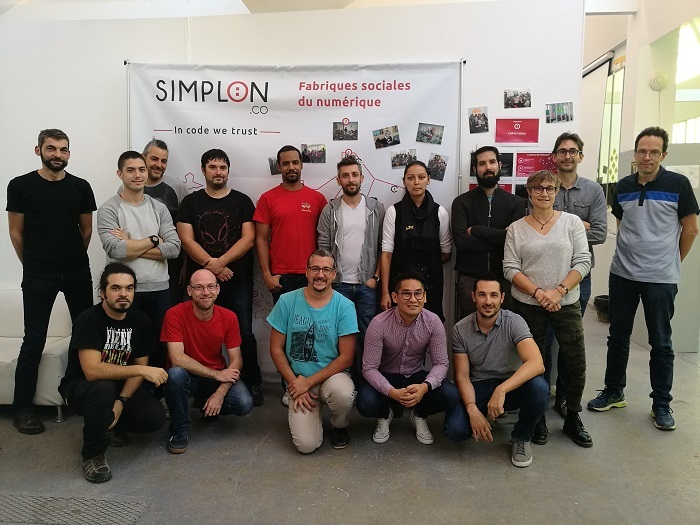 On 1 October 2018, Géraldine Autrique, an organisational assistant in the Orne department of Normandy, joined the Simplon IT school in Paris. Through this work/study programme, Geraldine will become a designer-developer in nine months. “It’s intensive but so exciting. This is what I love doing!” On 1 October 2018, Géraldine Autrique, organisational assistant in Mortagne-au-Perche (Orne), joined the Simplon IT coding school in Paris. The school has been a Group partner since June 2016. 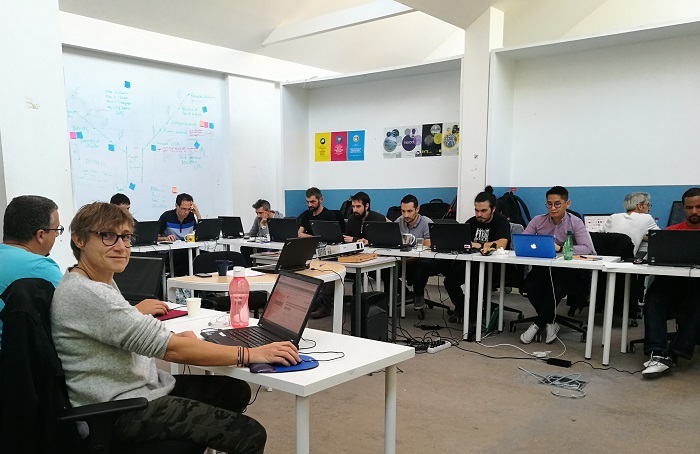 The aim of this cooperation is to support La Poste in its digital transformation and to train postal employees to take up jobs as designers-developers within the Group. “I joined La Poste 18 years ago as a postwoman,” explains Géraldine. “I had the idea of creating logos for customers in order to customise and sell more Prêts-à-Poster envelopes. I took training leave to build my skills and then set up my own business as a webmaster. I decided to start this new adventure with Simplon as it’s a bridge between La Poste and IT”. To prepare for the tough selection process involving cognitive tests, self-training in coding and an assessment day with recruiters, Geraldine received support from Gwenaëlle Carel, professional development advisor, who helped her prepare each stage in her project. “I met Géraldine when I was working on-site,” explains Gwenaëlle. She was in doubt about her professional future. During our interview, I discovered that she loved IT and particularly coding. I talked to her about the Simplon programme and she was immediately interested but they had just closed entries for 2017. When they started recruiting for the class of 2018, I immediately thought of Géraldine. I helped her complete the administrative section of her application and put her name down for the Group’s EMRG mobility and recruitment workshops in Normandy to get her ready for the selection tests. Working with Elisabeth Lamy-au-Rousseau, EMRG adviser, we trained Géraldine for the recruitment interviews so that she would be fully prepared for her assessment day. I’m delighted that Géraldine has been able to join this year’s class of just 16 people, chosen from 364 candidates. Elisabeth and I will remain present throughout the programme. We provide her with logistics support to make sure that she has no administrative worries and is able to concentrate fully on her training. The Simplon programme is a nine-month work/study course. Géraldine will alternate training periods in Paris with periods in the IT department of La Poste financial services and network (DISFE) in Nantes, where she will work afterwards: “The training is intensive and involves a great deal of personal work. We’re all at different levels but the teachers help us to make progress. On 10 October, we met our course tutors. Talking to them gave us a clearer perspective regarding our future profession”. After completing the training course, Géraldine will be an IT designer-developer in a level III.2 job. “It’s a real opportunity to change jobs and to grow. And when you love what you do, that’s fantastic! . Géraldine Autrique (third from the right in the top row, joined the class of 2018 at the Simplon school on 1 October.